Our passive house entry, patio and sliding doors offer exceptional thermal performance, craftsmanship and long-term durability for your passive house retrofit or new build. 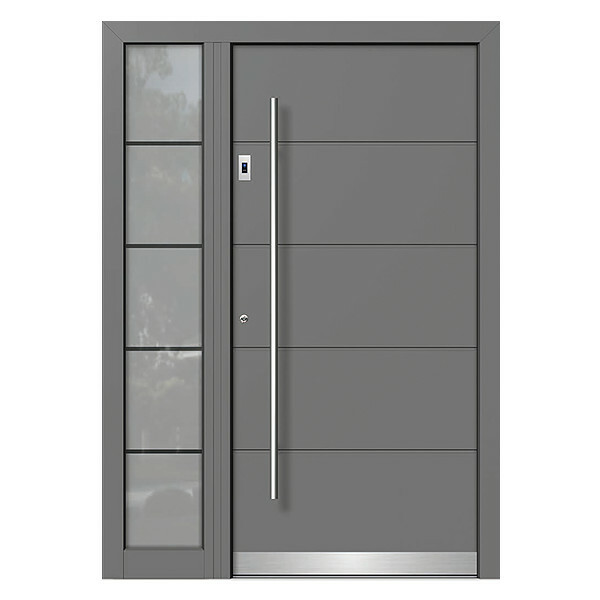 We offer a range of different materials and designs to ensure your doors are just as unique as your project. Unlike other companies offering "European style" windows and doors made elsewhere, or adding a few German components to items manufactured in other countries, all of our products are designed and produced exclusively in Germany using premium German-made components. 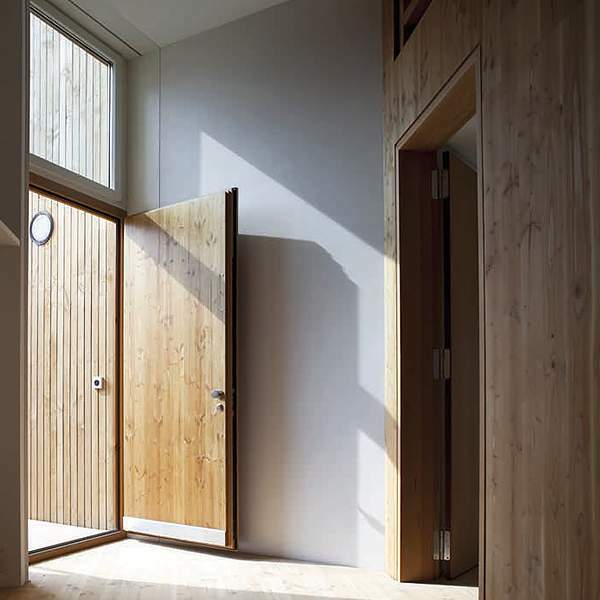 What is a Passive House Door? There is no such thing as a passive house door so to say, but rather doors that offer the airtightness and insulation levels necessary. The passive house standard is performance based for the entire building, not a checklist of components to purchase. In general, passive house construction elements tend to have a similar range of features and importantly, are installed far more carefully than those in standard homes. Passive house doors are thermally broken, triple glazed (if glass is included) with the space between glazing filled with argon or krypton. They are airtight and typically thicker than standard doors due to higher thermal insulation. The frames themselves must also be well insulated and require proper sealing and installation to achieve passive values. This is equally true of entry doors, side doors or patio doors. [...] must be well insulated and fitted with low-e glazing filled with argon or krypton to prevent heat transfer. For most cool-temperate climates, this means a U-value of 0.80 W/(m²K) [0.139 BTU/hr.ft2.F] or less, with g-values around 50%. This refers to doors as well as windows. Depending on your local climate, budget and component availability, it is also possible to install doors with somewhat higher values and make up for the inefficiency elsewhere in the home if necessary. However, what is appropriate for Virginia will differ greatly from say Alaska. But with the right technology, it is possible to install large patio doors with huge glass surfaces that nevertheless meet or beat passive values. Neuffer offers a variety of energy efficient door profiles that meet or beat passive house standards and can deliver them all over the United States. We continue to regularly supply projects throughout North America, Europe, Asia and Oceania. Contact one of our sales representatives for more details and help designing a door for your project.